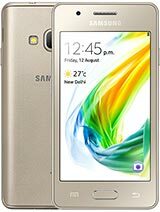 How to restore Samsung Z2 SM-Z200F to factory settings. It can be done by doing a Factory reset and Hard reset. Performing a factory reset via settings menu and hard reset by pressing a combination of buttons. Warning! Perform a hard reset and factory reset will erase all important data on the device. The data can not be recovered after perform a hard reset. Make sure to backup important data before doing hard reset and factory reset.